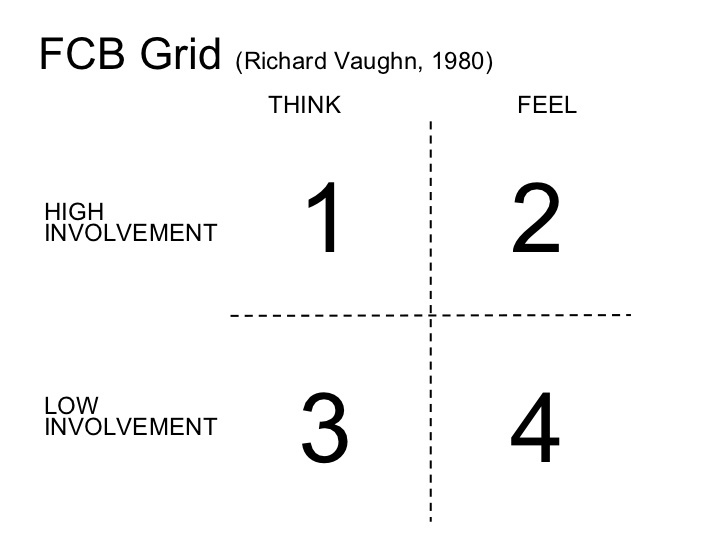 The FCB grid was developed by Richard Vaughn. a Senior Vice President of Foote, Cone and Belding Advertising. 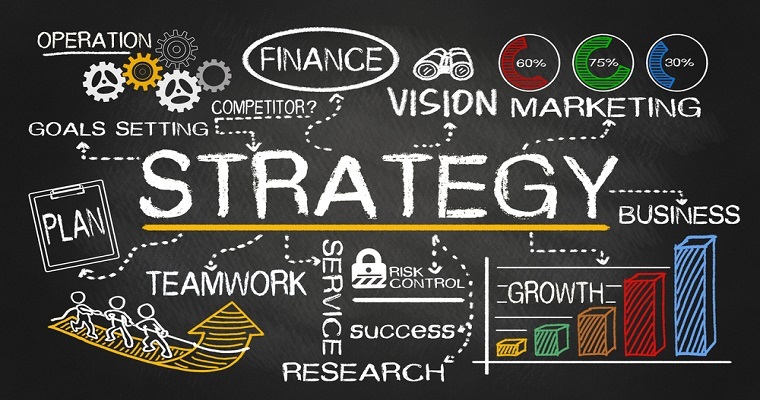 It helps direct both our creative strategy and our media strategy as it clarifies how consumers approach the buying process for different products. Notice that the process is driven by the TYPE OF PRODUCT, so product analysis is our first step in the 4P’s and a C model. The Grid helps us understand where a product stands in the mind of a consumer, by estimating whether or not purchase requires a highly involved emotional decision or a highly involved intellectual decision. With that information, we can devise four advertising concepts about a single product that will influence different buyers. Enter the X/Y axis, which spans from low involvement (clothing pins) to high involvement (a sports car) and from a product that makes you think (insurance) to a product that makes you feel (food). Decisions are based on highly involved thinking. Purchase requires information first, which leads to awareness and a considered buy. A DSLR purchase needs a lot of analysis since there is high investment. There’s also emotion, which pushes the purchase nearer to the rightmost feeling side of the chart, but it’s a thoughtful purchase. Health insurance stays on top of high involvement. Ironically it juts slightly more to the rightmost feeling side of the chart because it’s more important (or costs more) than the camera. Decisions are based on highly involved feeling. Purchase requires reflection first, as personal ego and self-esteem cajole us to buy. Skin softening soap is just at the beginning of the feeling side of the grid. Perfume blows it away, ending up on the far right of feeling. Fragrance evokes higher feeling than a Hallmark card, and also requires higher involvement. Decisions are based on lowly involved thinking. Purchase of practical goods based on habit and routine behavior. We learn about the product only after taking it home and not before. It’s the detergent we assess after the first wash. Decisions are on lowly involvement. It’s the purchase of pleasure products led by quick personal or peer-led satisfaction. Their motto is: “Just do it.” Cookies are a low intellectual item, the less you think about them, the more you want them. After enough experimenting with the FCB grid, it becomes a tool you can activate at will. You’ll see a product and sense what quadrant it’s in. Then you can explore the dot and quickly devise a handful of concepts, each trained on a different buyer. Try it. Pick an object on the way home. Tag it as low or high in thought and feeling, then explode its dot. 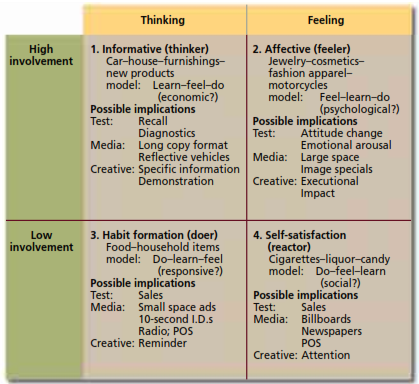 This information develops effective creative options such as using rational versus emotional appeals, increasing involvement levels, or even getting consumers to evaluate a think-type product on the basis of feelings. 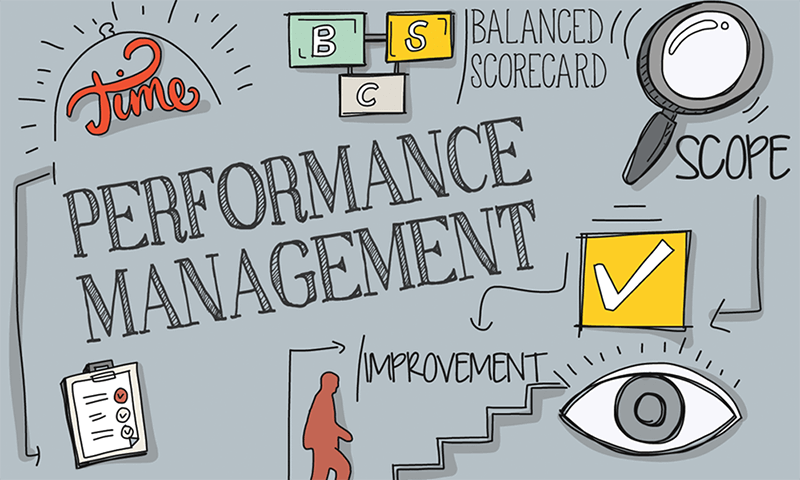 Previous PostPrevious What is the DMADV approach and how is it different from DMAIC? Next PostNext What are the top challenges faced by manufacturing industry?